Boston Celtics legend Larry Bird has hand signed this 16x20 photo. The photo features Bird during his retirement night in the Boston Garden. 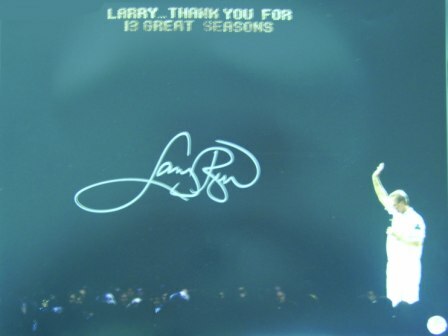 It was signed during a private signing, and features the Larry Bird authentic hologram.